Many people love wearing clothing, accessories, shoes, and yes, sneakers, that express their personalities, their moods, their musical tastes, and especially, their style. 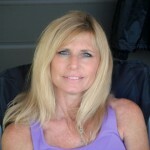 They are just plain bored with sneakers that everyone has, going unnoticed and uninspired! Sneakers can display their owner’s individuality and uniqueness and even shout a message to the world. For these spirited people, donning shoes right out of the box just won’t do! 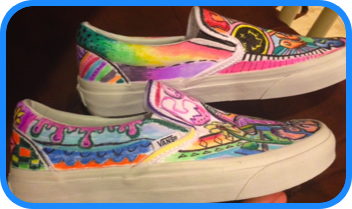 To an artist, classic white canvas sneakers, like Van’s vegan slip-ons, for example, are precisely that—-a blank canvas, upon which all creative expressions are possible! 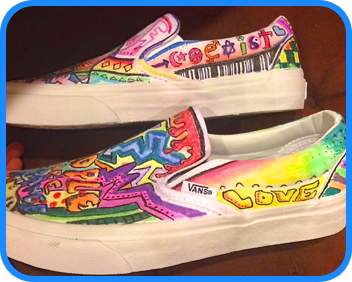 Do you have a style, message or design that is begging to be displayed on your footwear for all to see and admire? 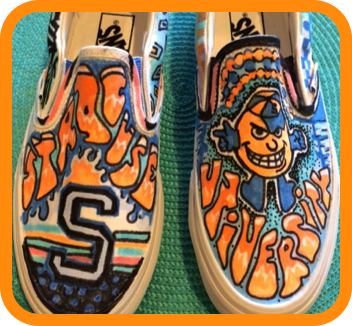 Behold the design, above, created for a high school senior who is planning on attending Syracuse University next fall. 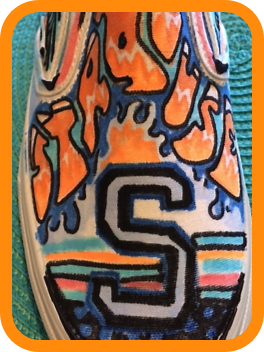 She may be one of many excited freshmen on campus, but these colorful, logo’d sneakers will celebrate her individuality and style, as well as her enthusiasm and school spirit and colors! 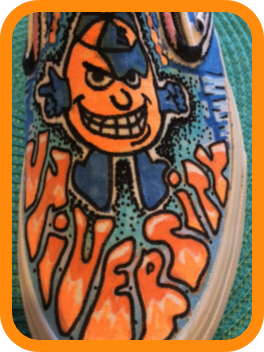 Celebrate your high school or college with awesome custom designed sneakers! Or let your imagination flow with ideas—the pair, above, evokes spirituality and music with various symbols and lyrics. 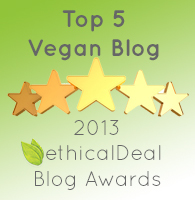 The colors and designs are not only eye-catching but meaningful. The variations are endless and the artistic possibilities abound! 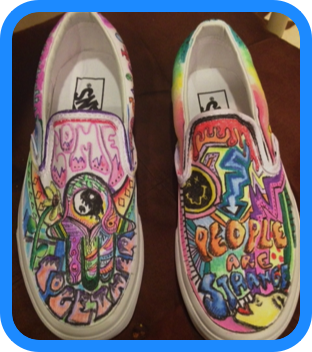 Let CPF Designs make your feet unique and sole-ful! GREAT GRADUATION PRESENT!! Cool camp sneakers! Sorority sisters unite with your logo! All questions and inquiries are welcome, so let the ideas start flowing! !